📍 221 S. Grand Ave.
Give me some Eat Me Cookies and Drink Me Elixir and I’m your Alice in Wonderland at the Broad. 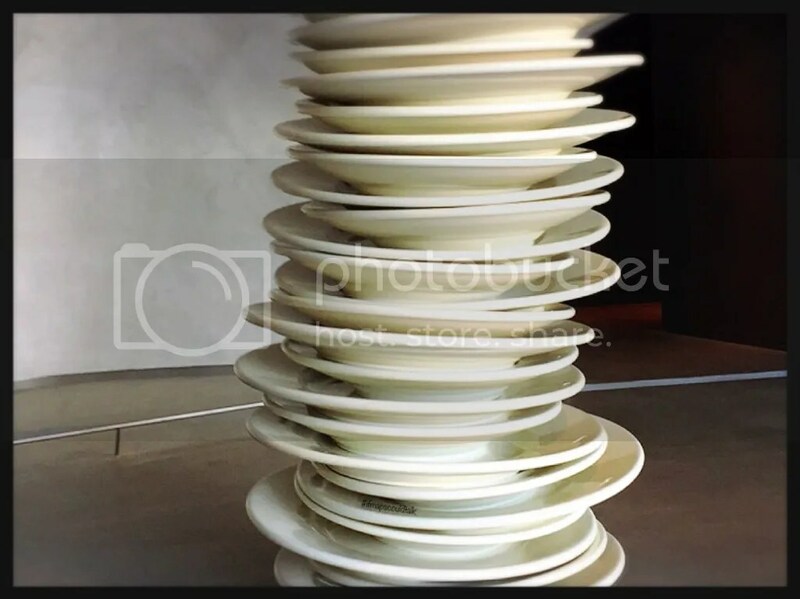 Just walking in, you feel like in another world especially when you’re greeted with an escalator that goes to hole of nowhere (ok maybe the third floor haha) and giant dishes by Robert Therrien. Entrance to the Broad is FREE. Reservations online is required but you can walk-in. Reservation is not available until June 2016 (currently) However, if you check every day they might have some openings for the next day (that’s what I did). I think people cancel online? When I went, I had a 12:00 reservation on a weekday. I got to the line around 11:30 AM and I was the first one in line for the 12:00 reservation, but when they let in the batch of 11:30 reservations, they also let in approx. 75 people from the walk in line. Per the website and based on the people I talked or heard from, walk-ins usually range from 10 min to hours depending how long the line is and how many people the museum can accommodate. Parking is available at the Broad and they validate for the first 3 hours with the cost of $12. However after 3 hours, it’s the max of $22. There’s $10 parking on Olive/Hill if you want to save money! Maybe the reason you’re going to the Broad is because it’s the newest thing in town and it’s FREE. Also, you’ve seen almost everyone and their mother take a pic of the infinity room by Yayoi Kusama. For this exhibit: Once you enter the Broad, it’s a separate ticket and it’s first come first serve. It’s highly recommended to come as early as possible. The reason why I came IS because of that room and that big giant table on the third floor (Under the Table, Robert Therrein). However, I didn’t expect any of the rest and was amazed by the art! 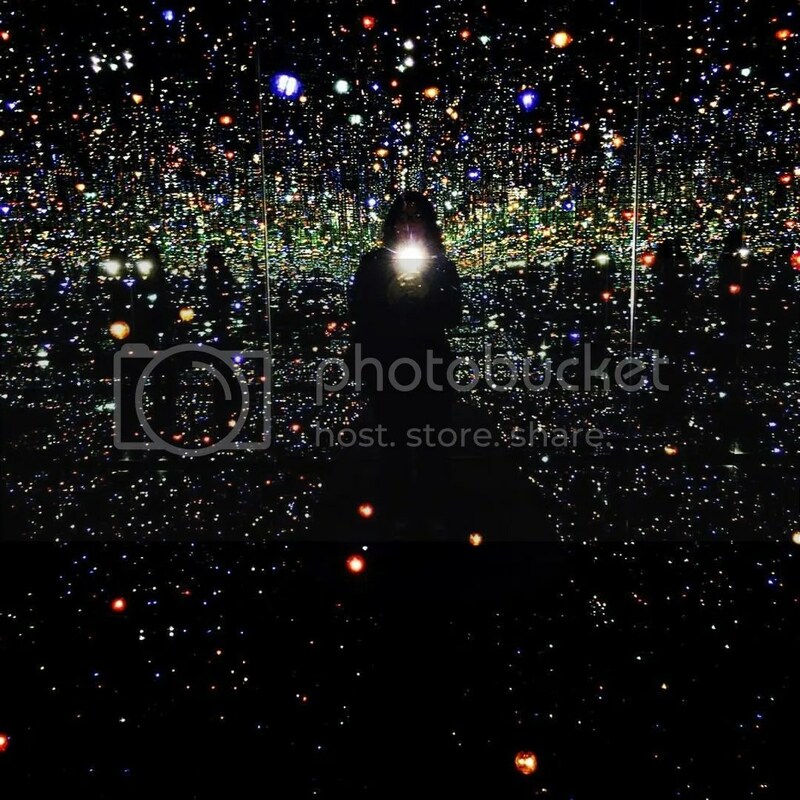 The Infinity Mirrored Room, accommodates one/two visitors at a time for approximately 45 seconds. However, this requires a separate time ticket and has limited capacity. Try to get to the Broad or get reservations as early as possible. My reservation time was at 12 and I didn’t get to go to the room till 3 pm. Once you get in keep going to straight to the right don’t go up the escalator. Make your reservation on the iPad and it’ll send you a text telling you how long the wait is. I was a little irked though. By 1 pm I went down to check out the 1st level of the museum and it was already not available to people who came in. However, they can wait in case some people were no shows. What kind of first come first serve is that? I can’t complain though because everything was free. But wished had more time in the room. 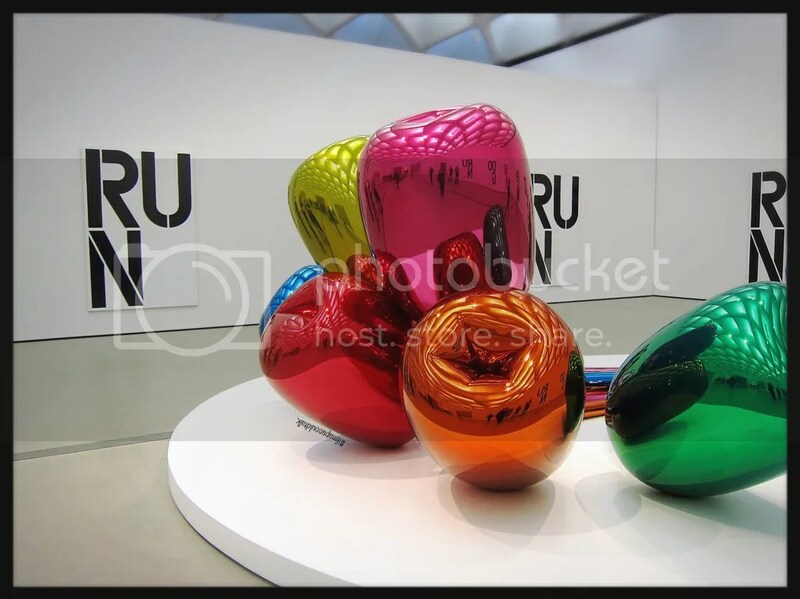 Jeff Koons, Tulips with Christopher Wool’s Run Dog Run in the back. I am NOT an art critique and museums are kind of boring (don’t hurt me). I don’t think I can’t stand or sit around for hours in a museum, Maybe at the Louvre but not anywhere else. Some times you wonder how this is art and be like, my 2 year old cousin can do that but she’s not famous. However, if you look at some of the other art, you’ll be amazed by all the details and sometimes simplicity of the piece. The below pictures are some of my favorites. You may also want to check out “The Visitors” by Ragnar Kjartansson (not pictured). It’s a music/video piece in which different people are singing or playing an instrument and is combined together to project one art piece. It’s really amazing. Taking a picture of this or video taping it does not do it justice. I found a Youtube vid of it here (not from the Broad). I wanted to see the whole thing but felt that I was in people’s way because it was just a cramped space. Takashi Murakami’s DOB in the Strange Forest (Blue DOB) and In the Land of the Dead, Stepping on the Tail of a Rainbow. This entry was posted in Art, Downtown and tagged Los Angeles, the Broad. Bookmark the permalink. I did a post about the Broad too! Love this museum; perfect size and wonderful art work. I wasn’t able to see the Infinity Room because it got booked soooo fast;maybe next time! Thank you for your comment! 🙂 Yeah! This museum is a perfect size to check out! and Definitely you should check out the Infinity Room the next time you’re there. I’m taking my friend in April when she’s in town so hopefully we can get in that room through walk-ins since reservations is already sold out 😦 I don’t think the room is worth the 3 hour wait but would be if I went early enough or make a whole day out of DTLA!